The author of Without a Backward Glance asks: What does it take to be a good woman—and what does it take from you? Susanna Greenfield has given her all to being a good daughter, sister, wife, and mother. Somehow, she's maintained her profession as a college art teacher, as well as rearing two headstrong teenagers and nurturing a twenty-year marriage to Gerry, a confident, ambitious architect. She's also the eternal peacemaker between her pretty younger sister Angie, former junkie turned born-again Christian, and their strong- willed mother, Jean. Just when Susanna is struggling to revive her creative career, a devastating accident rips apart the fabric of her world, exposing secrets which threaten to destroy both a marriage, and a life. Plumbing the rich emotional vocabulary of faith and betrayal, loyalty and forgiveness, Trust is the story of a woman's challenge to find her self. 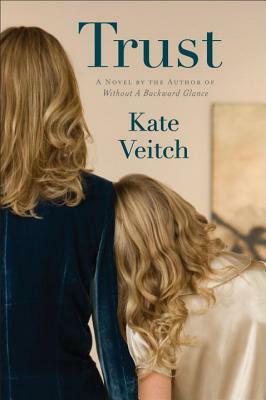 Kate Veitch is a journalist and author who grew up in Melbourne, Australia. Currently, she divides her time between San Francisco and New South Wales, Australia.